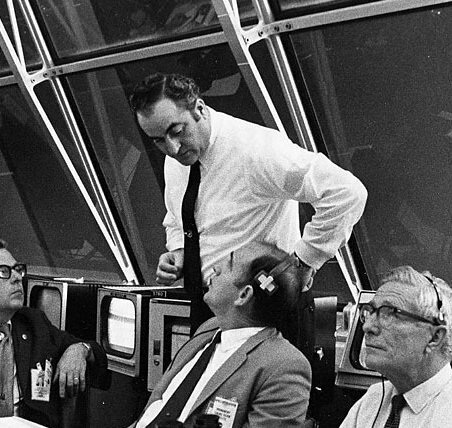 Rocco Petrone, who first ran the Apollo launch program at Cape Kennedy and then ran Apollo itself, has finished his course. Everything the gargatuan Saturn boosters needed to hurl men to the moon -- from the Vehicle Assembly Building (still used by the Shuttle), to the launch pad, to that enormous crawler that carried them there -- all were planned and built under the direct supervision of Mr. Petrone. Then they put him in charge of Apollo itself, and he made sure the men got to the moon and returned safely to the earth. Including Apollo 13, which almost didn't. Now we're going back to the moon, picking up where Rocco Petrone and the extraordinary team he was part of left off 30 years ago. We can only hope that men and women of the same caliber guide this program as well.